She: (With a contented sigh.) That’s so beautiful. 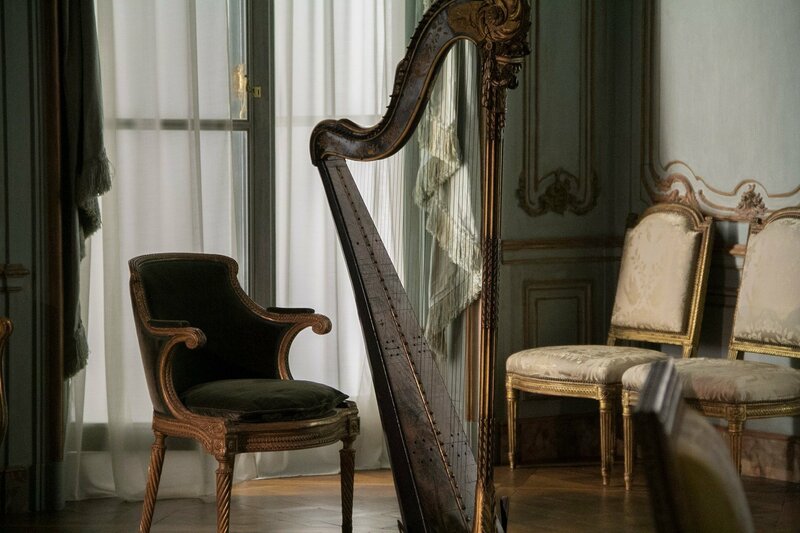 I wish I could play the harp like that. He: Hang in there. You’ll learn. She: I want to learn faster. He: (with a little chuckle) Don’t we all. Learning can be hard, boring, tedious work. With only slight, seemingly imperceptible improvements after each session. But trust me, the rewards of patient persistence are worth it. A hemidemisemiquaver. Better known as a 64th note. Who says literary writing can’t have fun with varying forms? Lovely post. I love harp music also. Very true. I get discouraged easily if I’m not immediately awesome at something. I’m always reminded of a Bill Cosby episode where he talks of wanting to learn to play a drum solo rat-a-tat-tat-bang-boom-chchchch-ting-ting-rrrrrroll-boom-crash-clang-boom. But to do that he had to start with one drumstick and a wooden block… tap-tap-tap-tap-tap-tap-tap. Boring! Frustrating! But needful!! A lot of wisdom about patience and diligence in that scene. I remember that I think. Yes, there’s a lot of truth to it, I think. Lovely meditation on perseverance and hopes James.